Among the most spacious at sea, ‘Verandah’ and ‘Concierge’ level staterooms will measure at 282 square metres with ‘Owner’s Suites’ offering over 2,000 square metres of luxury. Staterooms will feature such amenities as a flat-screen TV, laptop complete with WiFi and an oversized marble and granite bathroom with most offering a separate bath and shower. “Riviera and her sister ship Marina have been designed specifically for the upper-premium market,” said Bruce J. Himelstein, president Oceania Cruises. The 420 square metres dedicated to ‘Penthouse Suites’ onboard will feature a separate living and dining area, walk in wardrobe and double vanity in the bathrooms while the 1,030 square metre ‘Oceania Suite’ will comprise of such exclusive amenities as a media room and balcony complete with hot tub and flat screen TV. Floor-to-ceiling windows are the prime feature of the ‘Vista Suites’ which are slated to measure between 1,200 and 1,500 square feet. 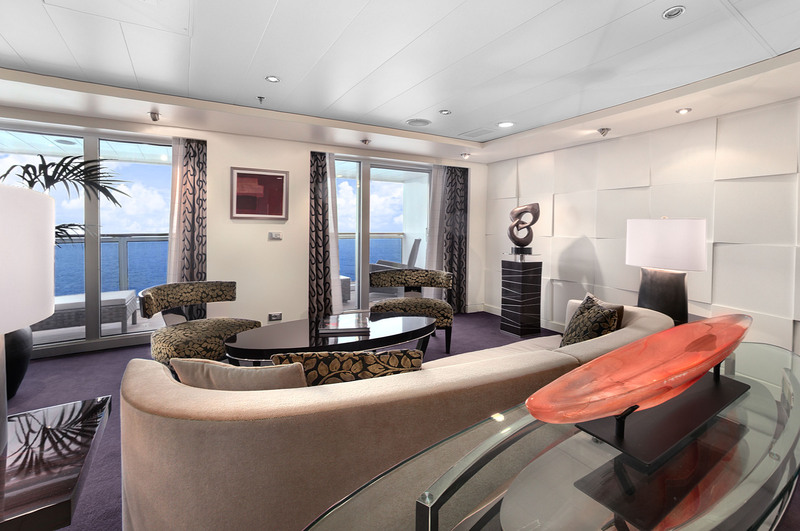 “Guests universally say ‘wow’ upon entering the foyer, with its baby grand piano, wet bar, domed ceiling and floor-to-ceiling windows,” said Mr Himelstein of the ‘Owners Suites’ onboard Riviera. Suite guests will be privy to champagne on arrival, 1,000-thread-count bed linen, a plasma TV, butler service and in-room service from any of the ship’s restaurants. She looks like she’ll be a stunning small to mid-sized ship probably averaging around 32000 tons. Aiming at the high end of the cruise market I can see no difficulties in finding the right passengers who are prepared to pay the extra dollars. It demonstrates the level of sophistication and elegance that cruising has achieved over the last few years. I look forward to seeing the finished product early next year!